Injuries are a part of the game no matter what sport. 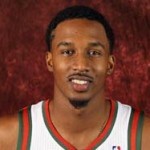 With injury comes opportunity, and Bucks guard Brandon Jennings could be finding that out this week. Boston Celtics guard Rajon Rondo was lost for the year over the weekend when he tore is ACL in the team’s Friday night game with Atlanta. Rondo was voted a starter for the Eastern Conference team by the fans and will have to be replaced for the February 17th game in Houston. Jennings was considered by some as a “snub” when the reserves were announced last week. He was looking to become the first Bucks representative since Michael Redd played in the 2004 game. The now 8-year drought is tied with Sacramento for the longest in the league. Golden State had the previous record before David Lee was named to the West squad this year, the first from Golden State since 1997 when Latrell Sprewell represented the team. 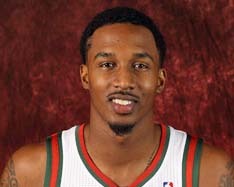 Jennings is averaging 18.6 points a game this season for the Bucks. An announcement on Rondo’s replacement is expected this week.